The internet can be a hazardous place, many threats jeopardize protecting personal and sensitive information. Information technology is everyone’s responsibility. 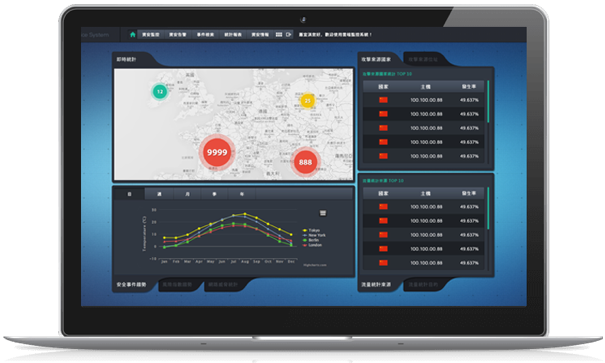 That’s why Six years ago, Billows Technology began to provide security solutions and services in response to the compliance needs of the International Cyber Security and Protection of Personal Data. Prior to starting our business, Our Team members have gained many years experience in building, operating and managing SIEM/SOC in the fields of government and local enterprises. Since its inception, the company has been pursing productive innovation. 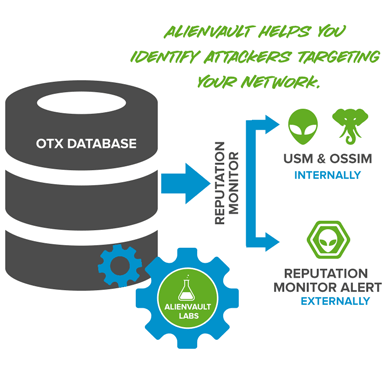 In addition to focusing on new product development, we acquired the distributorship of AlienVault. And due to years of experiences in system integration, we successfully established SIEM/SOC for our customers and gained their recognitions. Three stages “Implement, Integration, Development” to build the most secure and easy manage Security Operation Center. Education, Government, Financial institutions, Telecommunications, and other companies and units that need to automate audits, personal data, and security. Many people often ask me why I bought all of my security products and implement SIEM, but the company system still has some security problems. I always say: ”This is not only a technical issue but also the people and process. Just like you bought a pair of shoes like Michael Jordan, it doesn't mean you can play basketball like him. “ Equipment is only a tool, and it also needs relevant elements (process and people) to effectively secure the environment. Correlation directives – USM ships with over 2,000 pre-defined rules that translate raw events into specific, actionable threat information. Regular updates to these rules ensure that you are covered on the latest threats. The internal server is suspected of being installed with a backdoor and sending data to an external malicious website. When the internal server performs general web browsing, there may be an advertisement page embedded in the malicious link. Confirm whether the email is sent successfully, and notify the recipient to check if the email is abnormal or delete it directly. If check it’s a malicious mail or the mail is already open, proceed clearing the malicious software and evaluated for possible damage. he file transfer service opened by the web server suffers intensive attempts to log in in a short period of time. Confirm whether the attempted account is a valid account and the password has been guessed or not. Limit the IP of each account that can be connected if necessary. 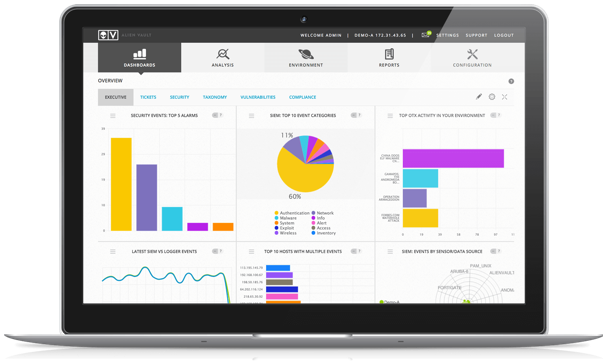 In order to preserve the system data for a long term in response to the compliance, Billows Technology has developed a compliance management platform for many years, in which can effectively confirm the data collection status, collect the customized software log, and assist the customer to simplify the logger implement process. 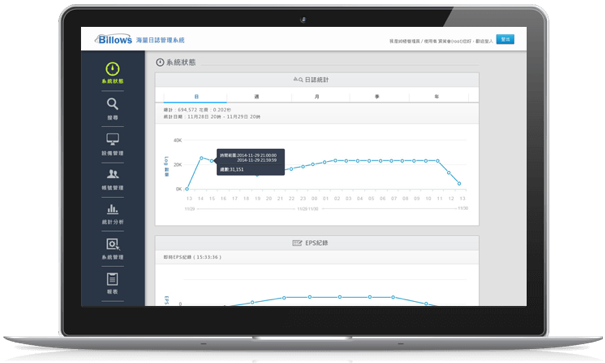 The platform has the ability to operate independently, and can provide a complete log solution with customers' existing log products to meet various log analysis and statistics needs of customers. This platform provides horizontal expansion to increase the overall capacity and performance of the system. 2018 Billows All Rights Reserved.